to View or Pay your bill(s) on-line. 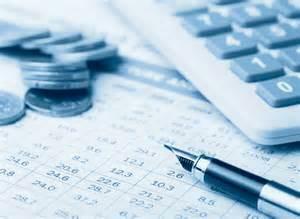 Preparation of Financial Statements and F.I.R. To provide for an interim tax levy, due dates for the payment of the interim taxes, and penalty and interest charges for the non-payment of taxes or any installment by the due date. To authorize certain new capital work of Corporation of the Town of Renfrew (the “municipality”); to authorize the submission of an application to Ontario Infrastructure and Lands Corporation (“OILC”) for financing such capital work; to authorize temporary borrowing from OILC to meet expenditures in connection with such work; and to authorize long term borrowing for such work through the issue of debentures to OILC. That a By-Law to authorize the execution of an agreement with Her Majesty the Queen in the Right of Ontario as represented by the Minister of Community Safety and Correctional Services for the provision of Police Services to the Town of Renfrew by the Ontario Provincial Police for the years 2018, 2019 and 2020. Being a By-Law to regulate the keeping and control of cats and other aspects of animal control related to cats in the Town of Renfrew. Being a By-law to provide for 2016 user fees for the consumption of Water and the use of the Wastewater System.